Jeepey.com originates back to 2001 when it was setup as a club website for Jeep enthusiasts in the East Yorkshire region, hence the name Jeepey. 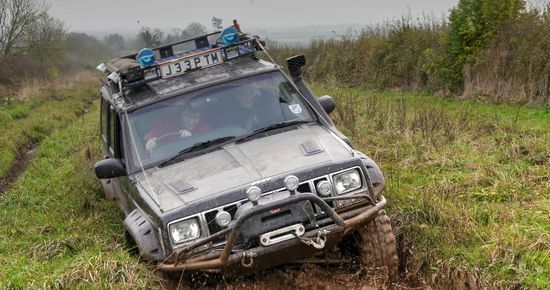 The Jeepey Club grew in strength and it was not long before it gathered interest from Jeep owners across the UK and growing its membership numbers to over 500. A few years on the recession hit the UK and the demand for 4x4s declined dramatically. 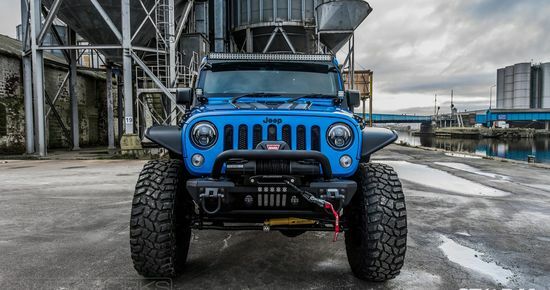 As a result a number of suppliers importing parts for Jeeps went under, and Jeep themselves were victims of takeovers and changes in management. 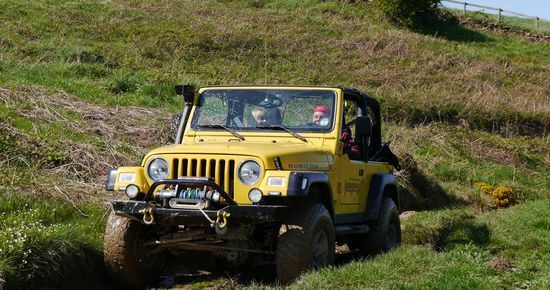 During this unstable time, it became very difficult to get hold of Jeep parts in the UK and the team at Jeepey would be constantly asked by club members for advice on where to get parts to keep their Jeeps running both on and off road! This is when the Jeepey parts business originated by obtaining a trading deal with Crown automotive USA. With the parts business growing continually, Jeepey were asked for more aftermarket parts and this is when the supply portfolio increased by getting more manufactures on board, using our own Jeeps to showcase the business and products at Jeep events across the country. 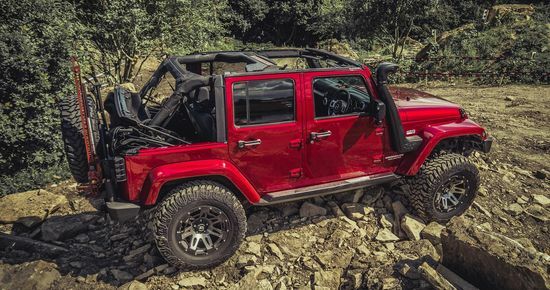 As the 4x4 market picked up and the popularity of the JK grew, Jeepey started to grow into more adventurous modifications on the JK opening up a whole new market. 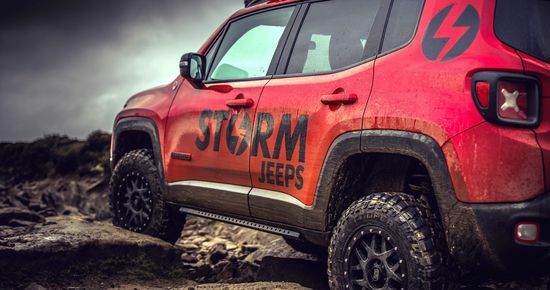 The success of JK modification naturally led into the birth of the Jeepey custom build branding - Storm Jeeps. 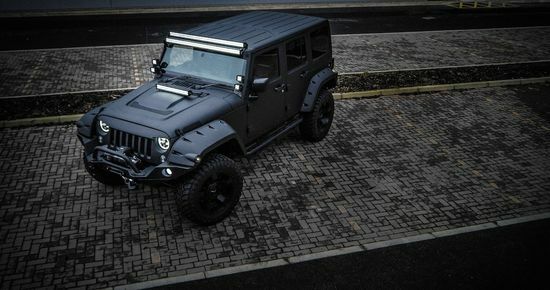 Jeepey is a family run business, with a team who have a strong passion towards the Jeep brand. Andy Bonner, the founder and director of Jeepey comes from a strong mechanical engineering background working in the Aerospace and Oil and Gas industries. 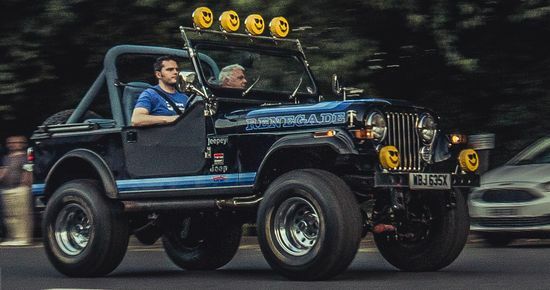 His first interest in Jeeps dates back to 1997 when his father Mike bought Jeep Cherokee XJ and it was not after buying the XJ, Andy persuaded his Dad to buy a Jeep Wrangler for a bit of fun during the summer months. Before the showroom shine on the TJ had faded… father and son were soon trailing the TJ on local off road courses, and family run on green lanes. By the time Andy was 17 and passed his test he was very fortunate to have both a TJ and XJ to drive on the road. The daily drive was the XJ, but it was not long before Andy started to modify the TJ and was putting these modifications to the test. Andy had established a reputation within the Jeepey club as a very experienced and confident off road drive driver, spending time in the USA at Moab driving a rental Jeep. Also within the team working at Jeepey is Andy’s wife Anabel who deals with the order management and stock control and Andys cousin Mark who looks after telesales, admin and general enquiries. Andy father Mike is also very much active within the business and focuses on vehicle sales and supplier relations. In addition we also have access to additional contract staff which include an ex Jeep dealer lead mechanic, IT specialist and media support consultants. This enables us to offer a wealth of specialist knowledge and expertise, whilst maintaining the values expected from a family run business.